My mother has 12 children, the second is the youngest. What is the name of her second child? 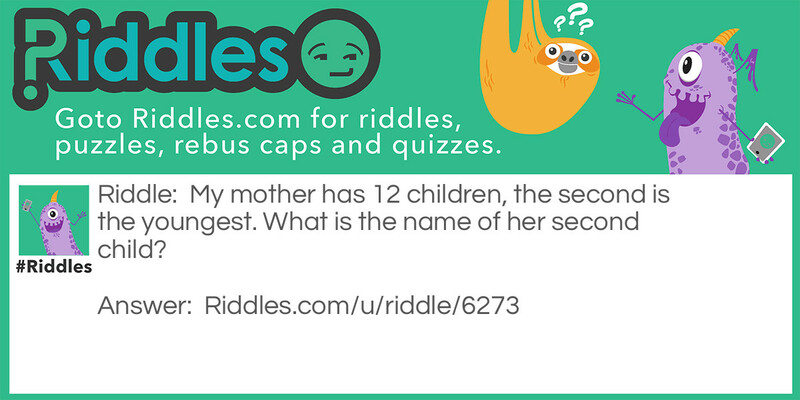 My mother's children Riddle Meme with riddle and answer page link.